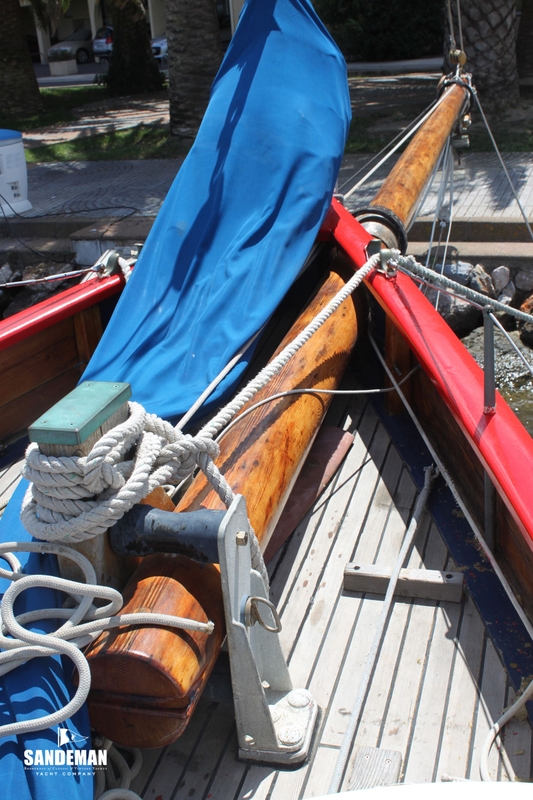 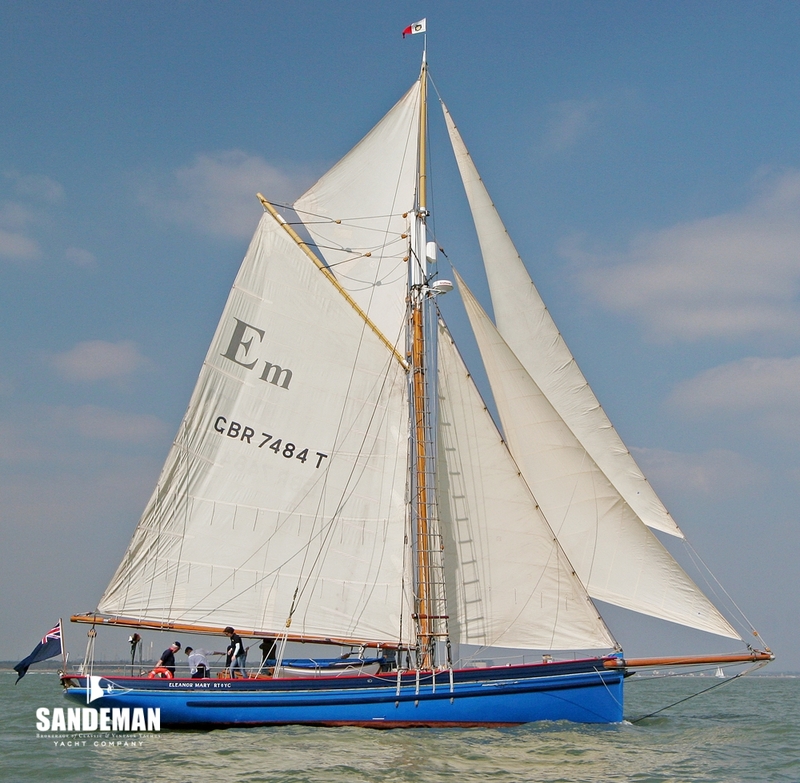 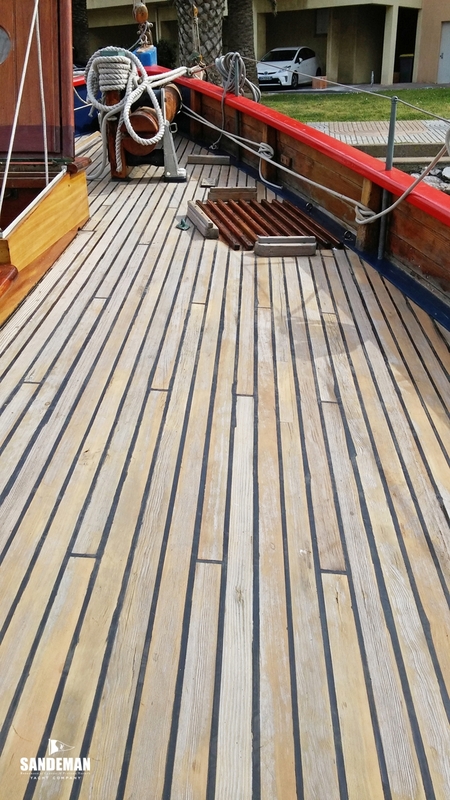 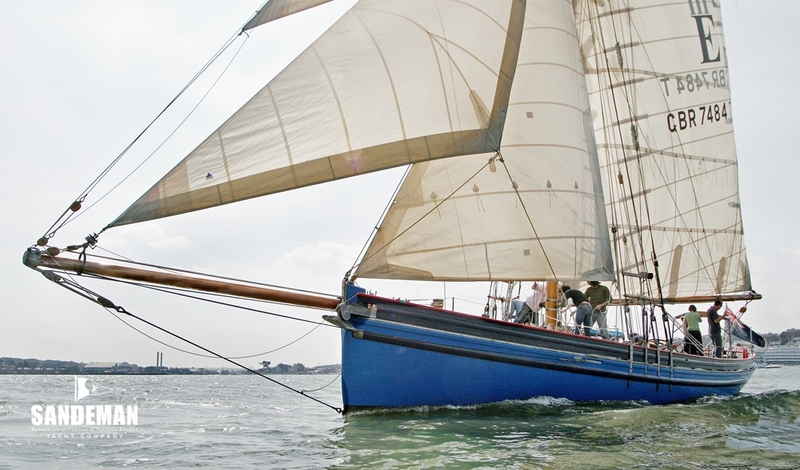 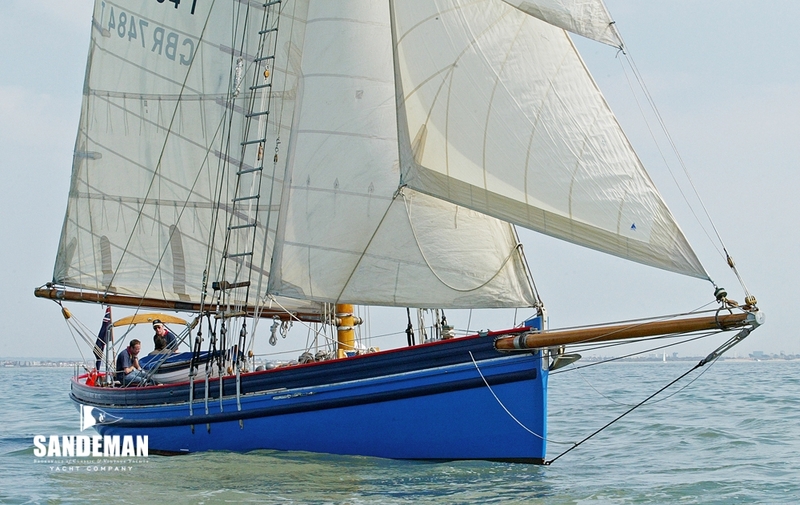 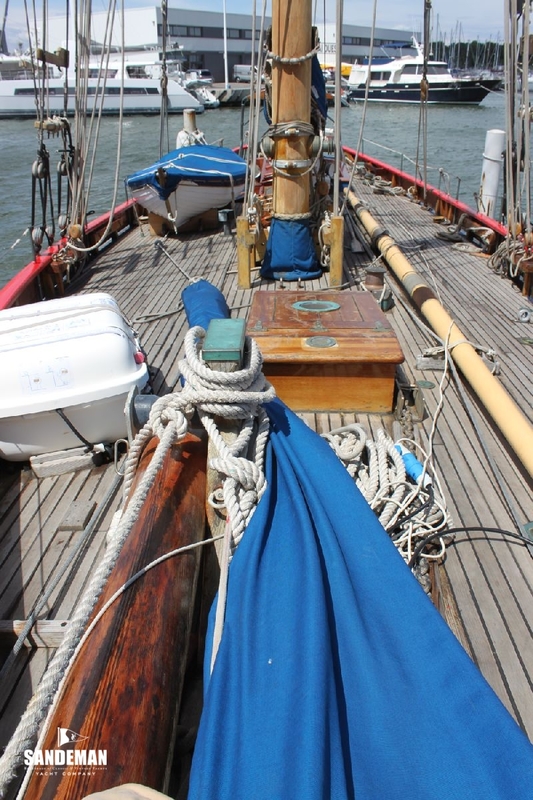 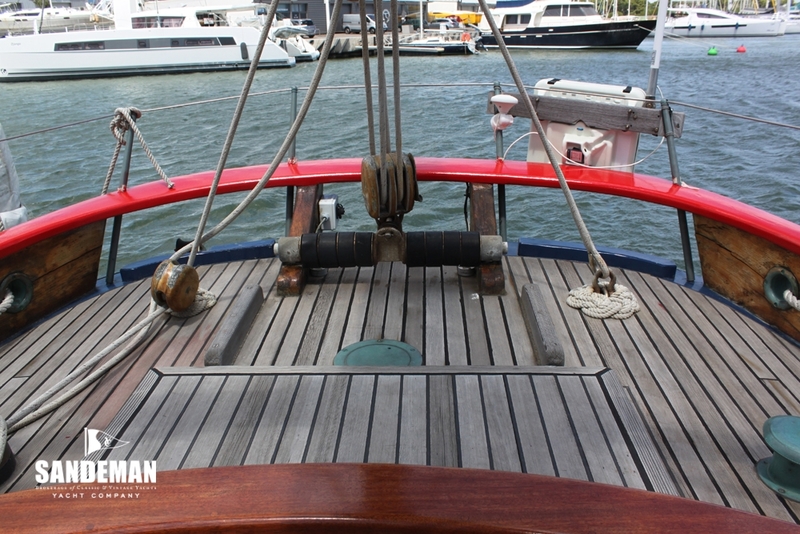 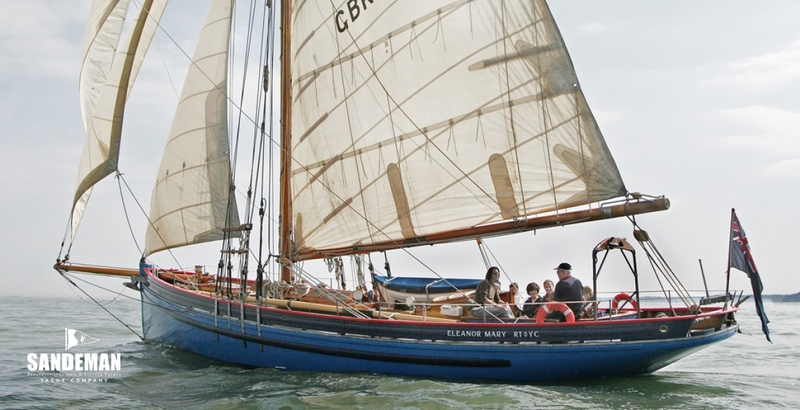 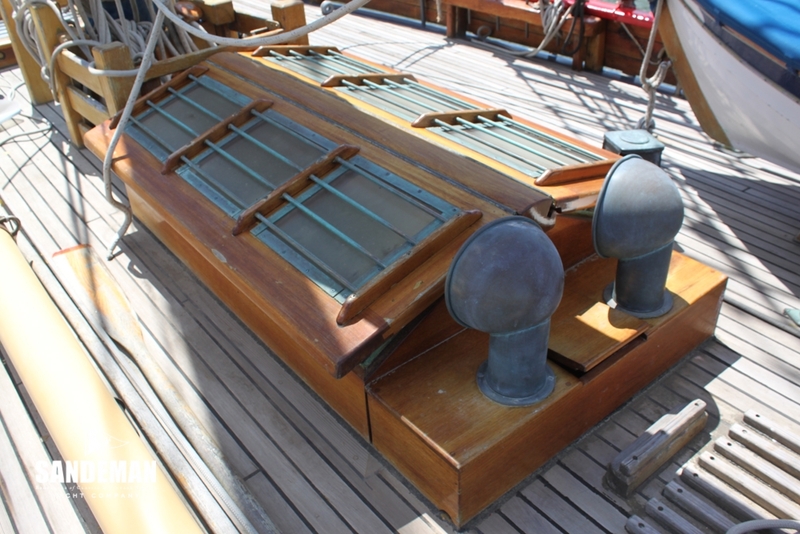 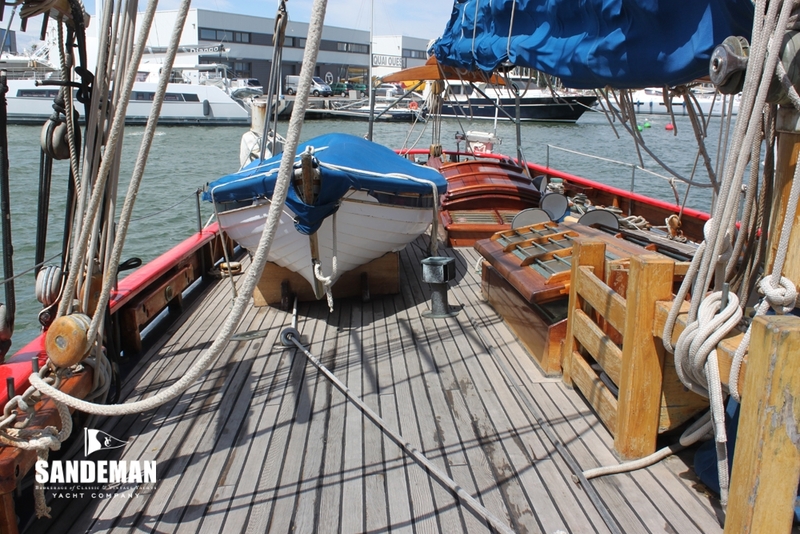 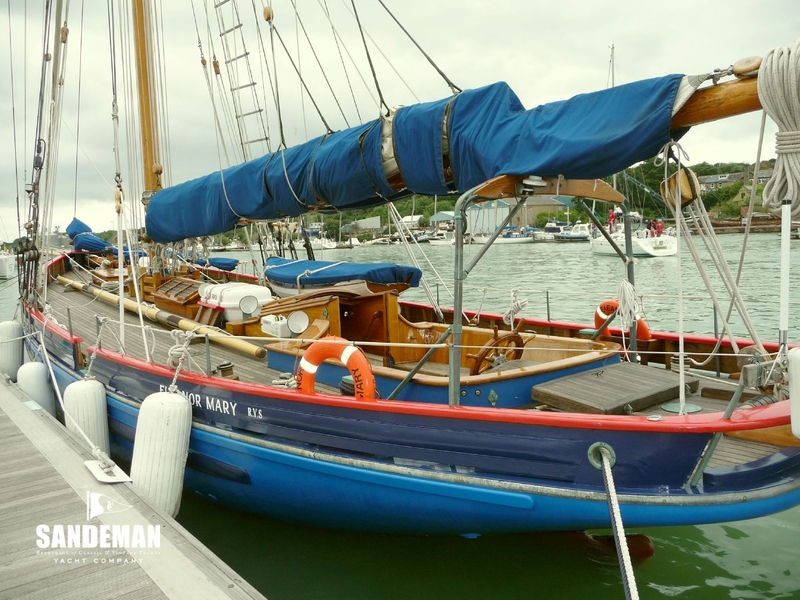 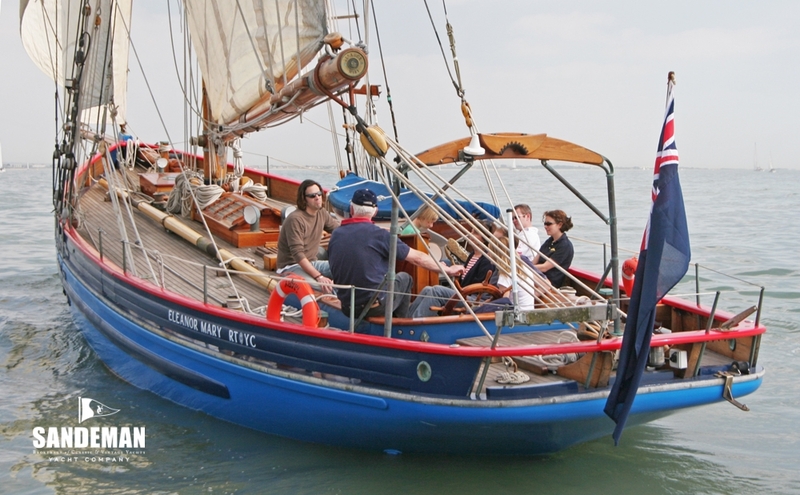 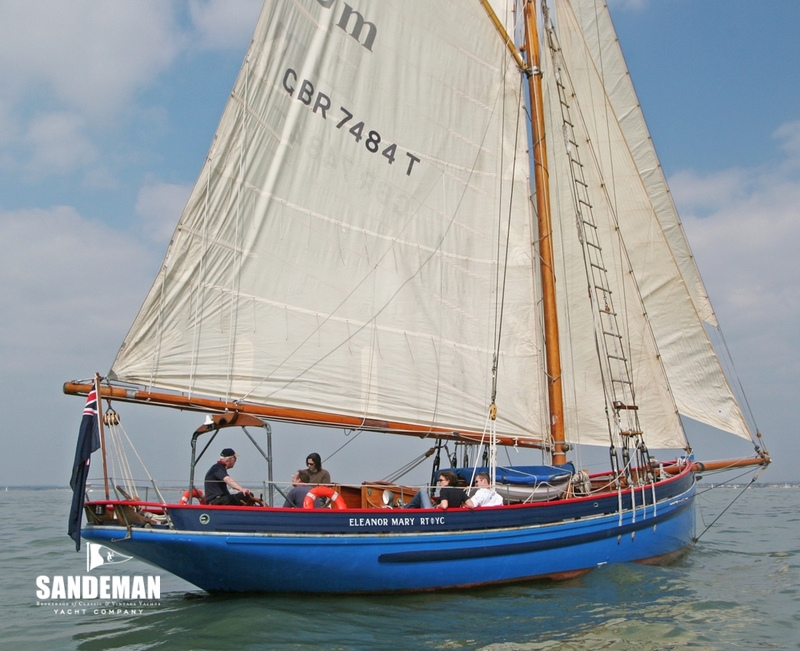 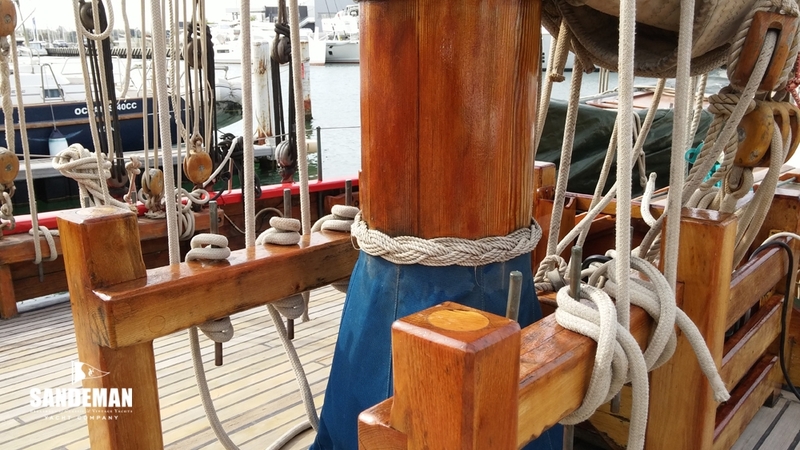 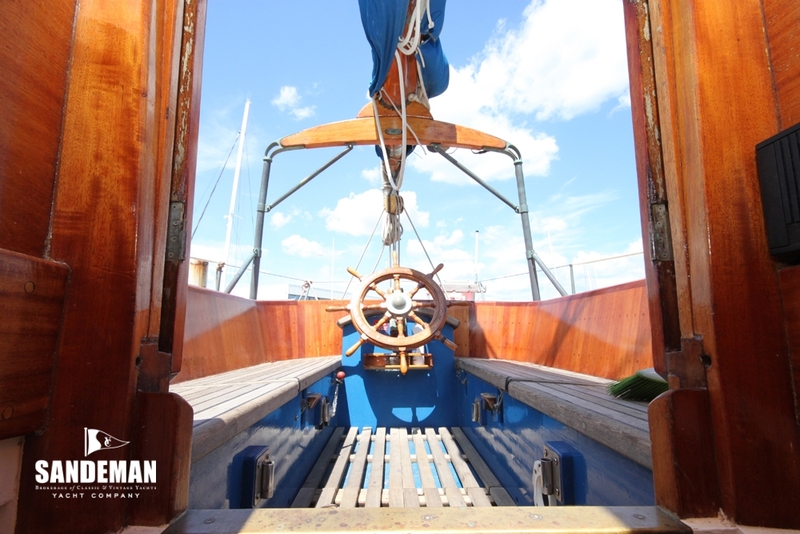 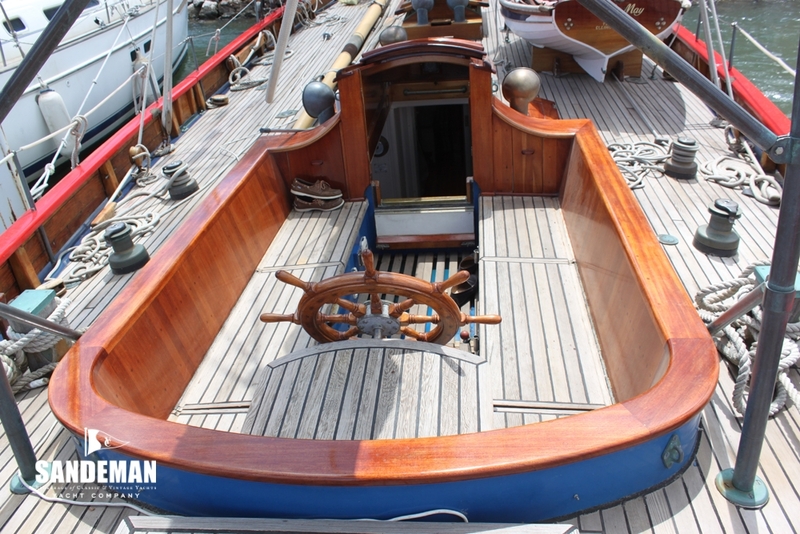 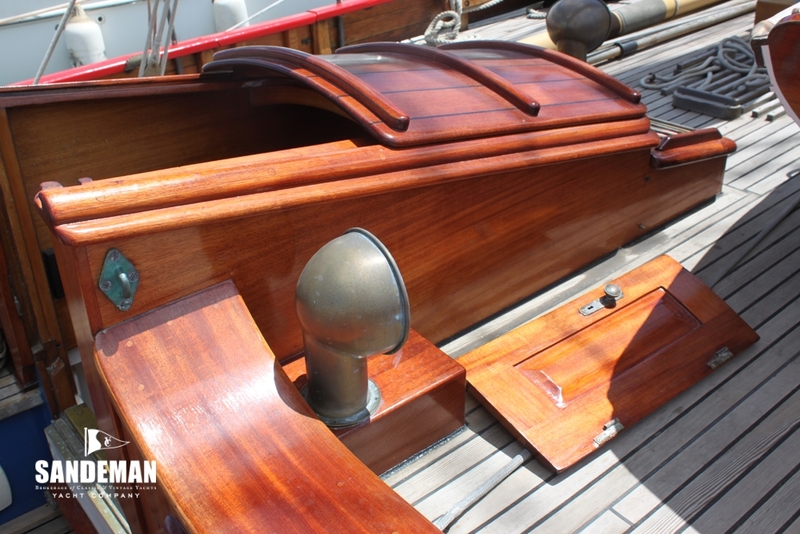 Designed for ocean voyaging by Nigel Irens on the lines of Bristol Channel pilot cutters and built to Ed Burnett’s drawings by Covey Island Boat Works in Nova Scotia, her stability and structural integrity were approved by David M Cannell & Associates. 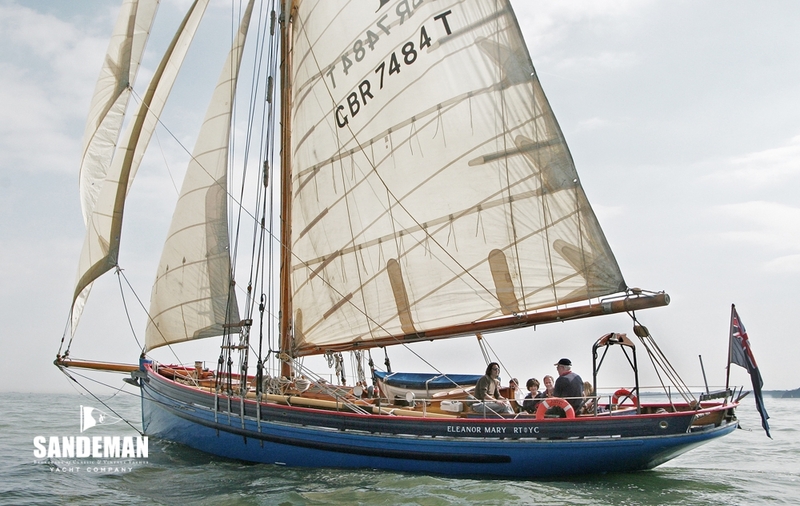 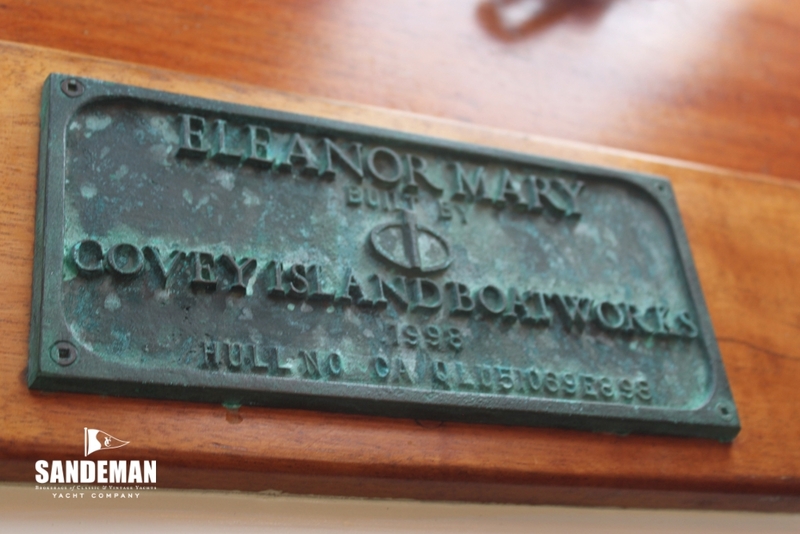 ALEXANDER T formerly ELEANOR MARY has been used solely as a family yacht since her launch in 1998. 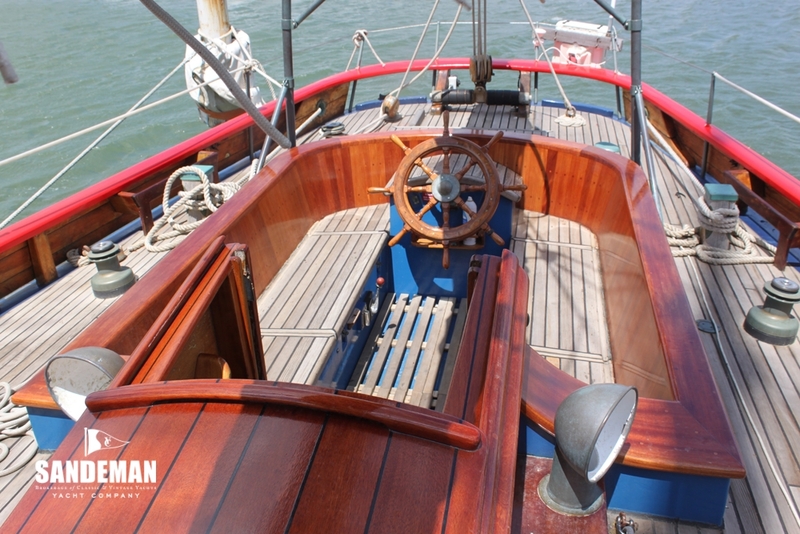 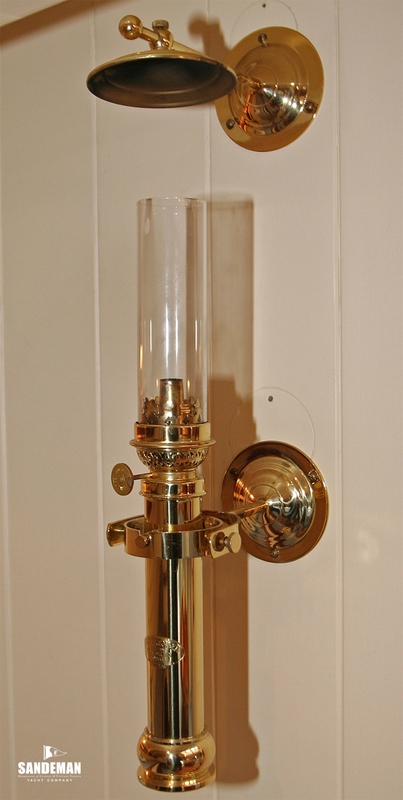 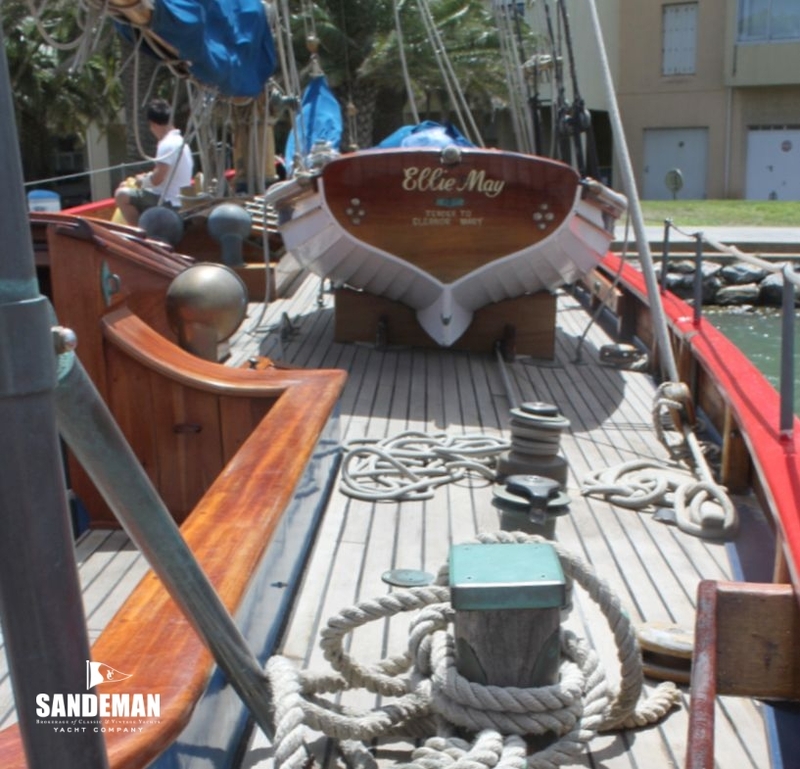 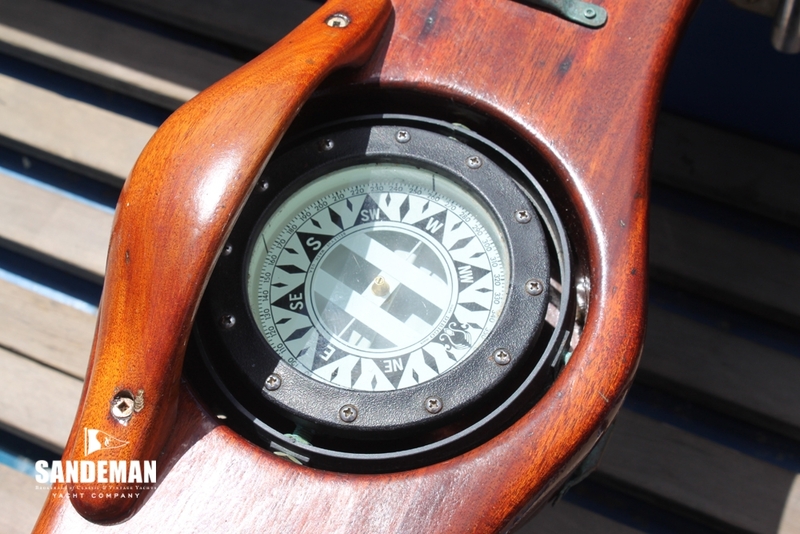 ALEXANDER T is an extraordinary marriage of yesterday's traditional sailing ideals with today's technology and design. 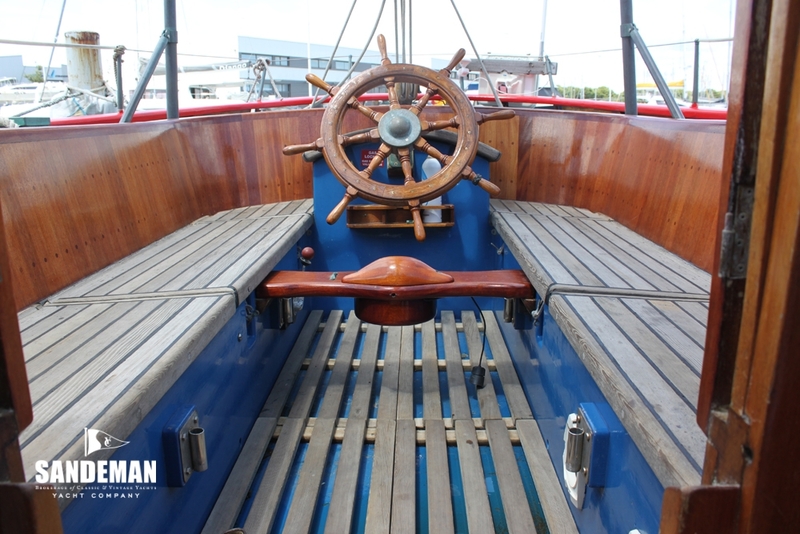 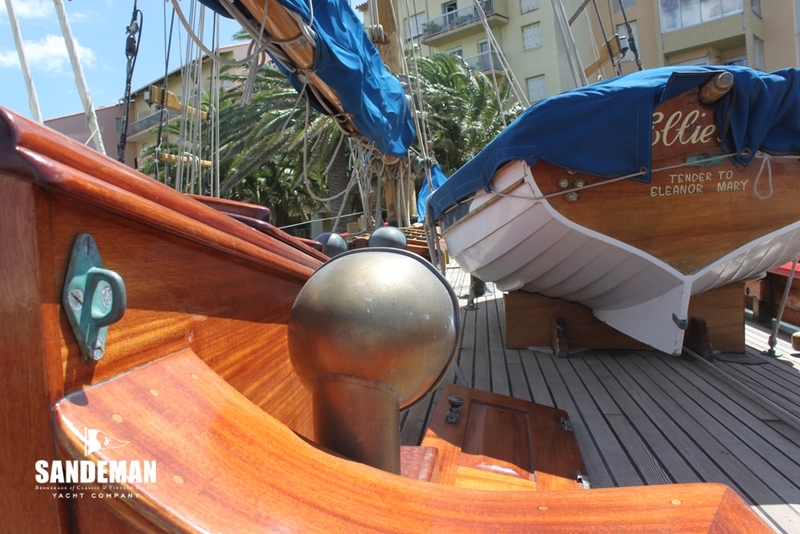 Built and to MCA Category Zero to maintain a standard; not to charter, she of course has the potential to be used by a school or a trust or to simply continue as a wonderful family boat for safe adventure almost anywhere in the world. 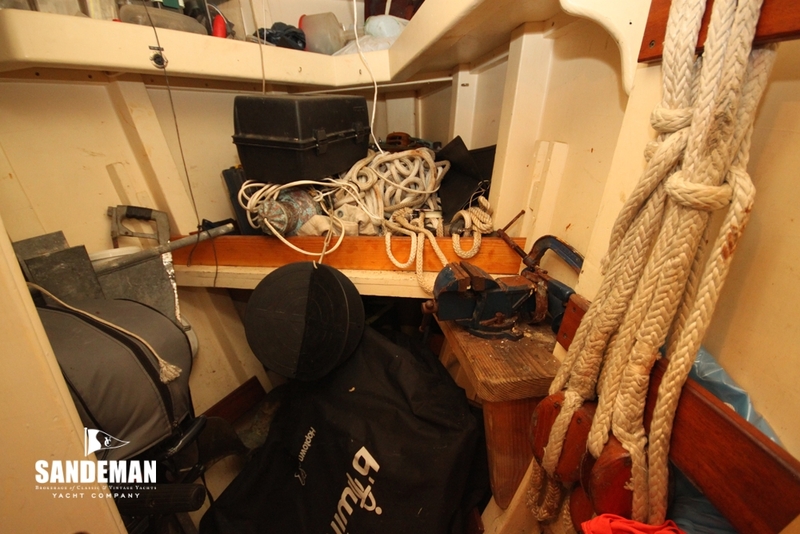 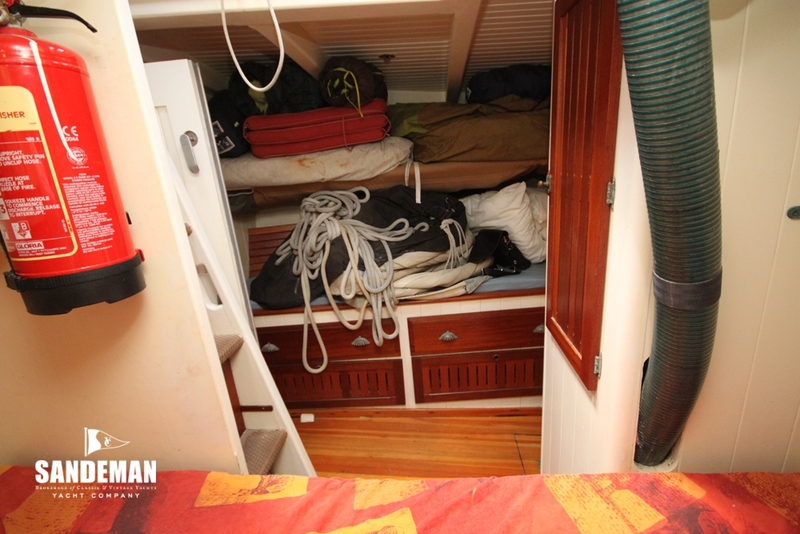 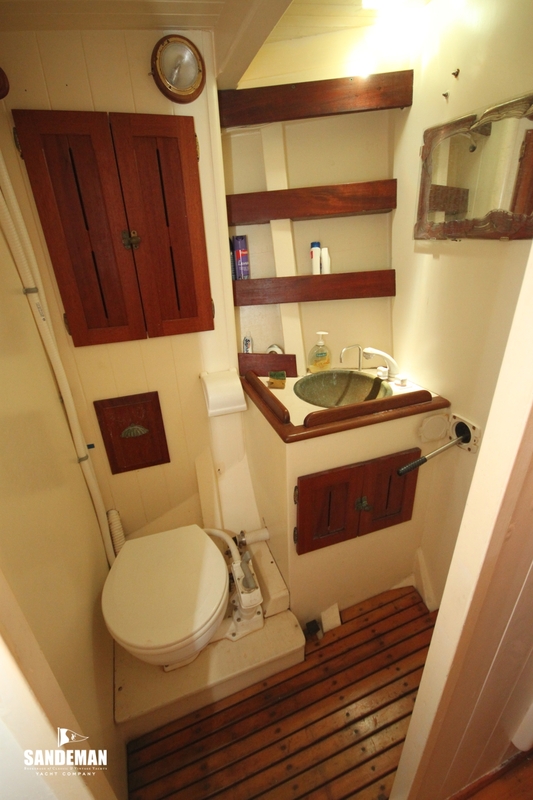 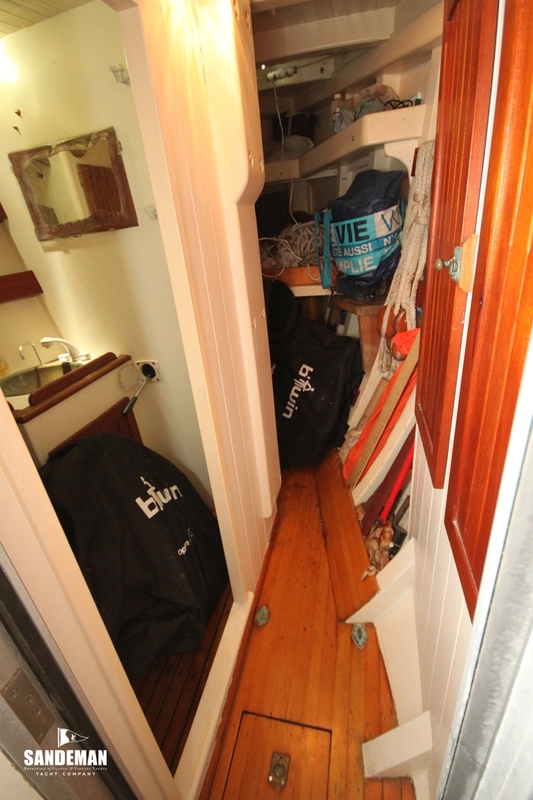 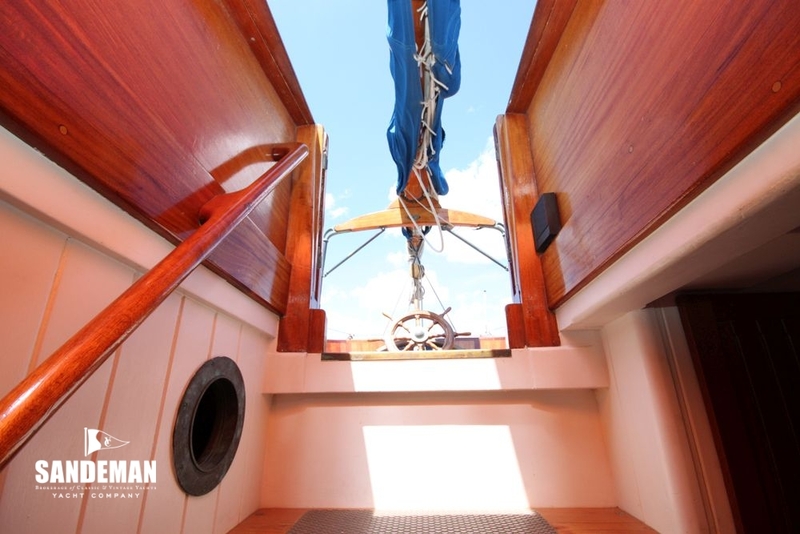 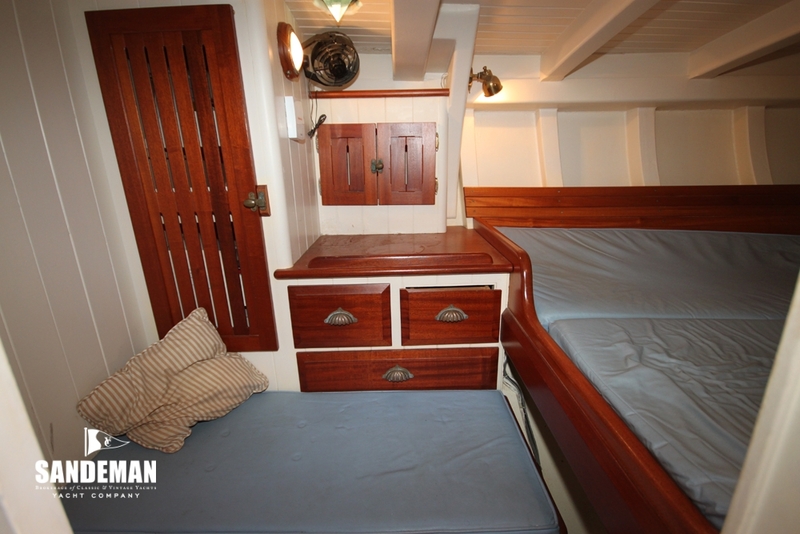 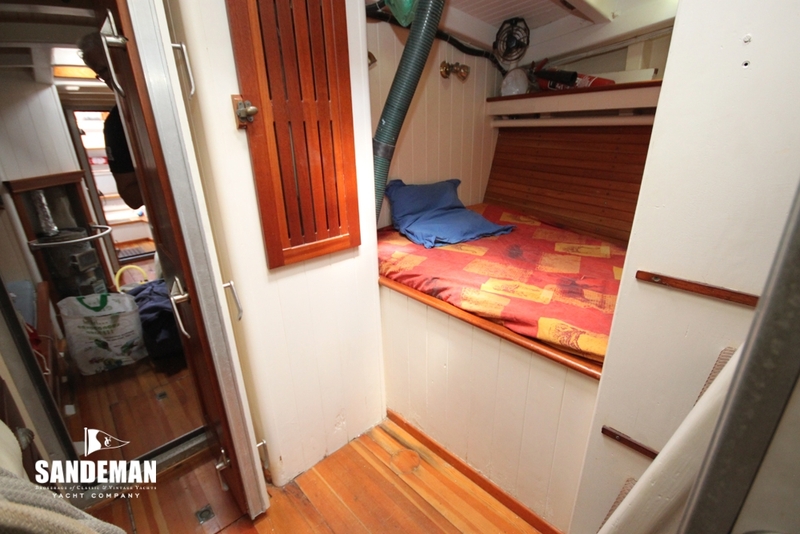 Accommodation is for up to 8 in 2 dedicated double berth cabins, 2 dedicated single berths and 2 settee berths with fore and aft shower, head compartments and forepeak workshop with bosun's store. 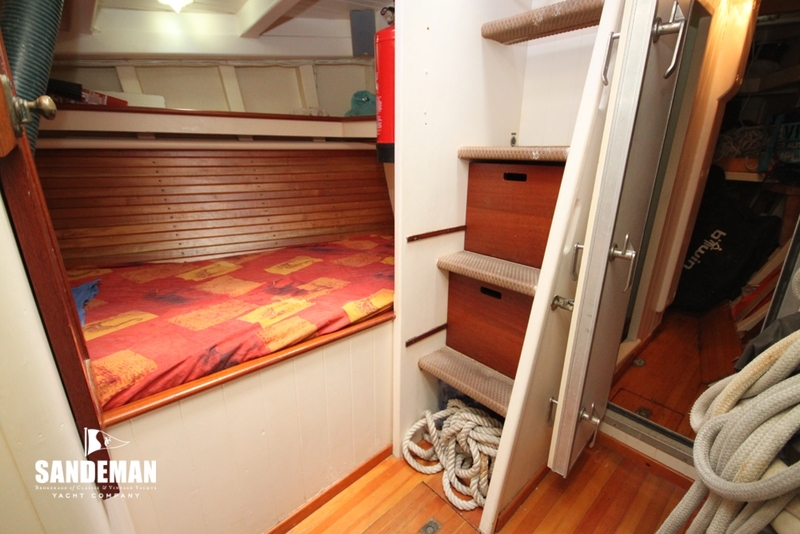 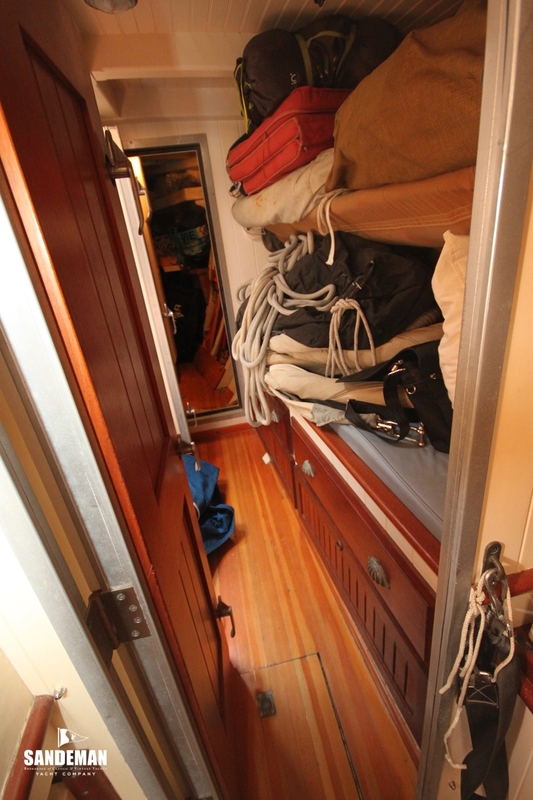 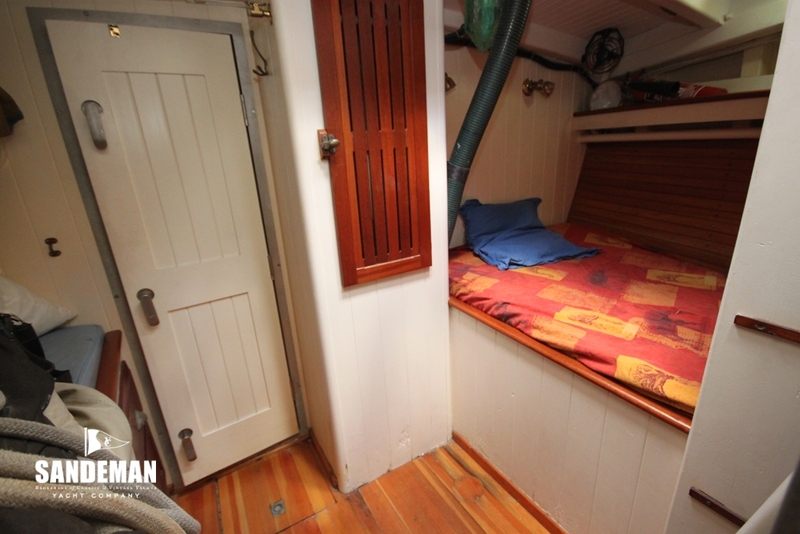 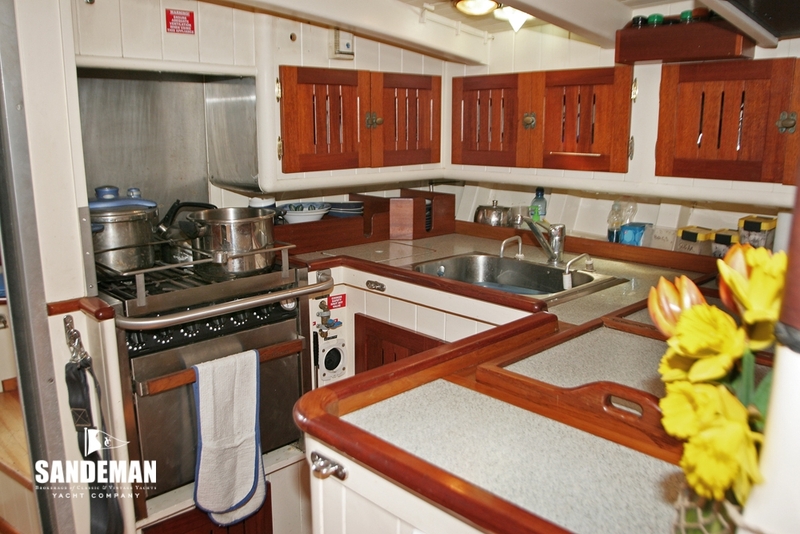 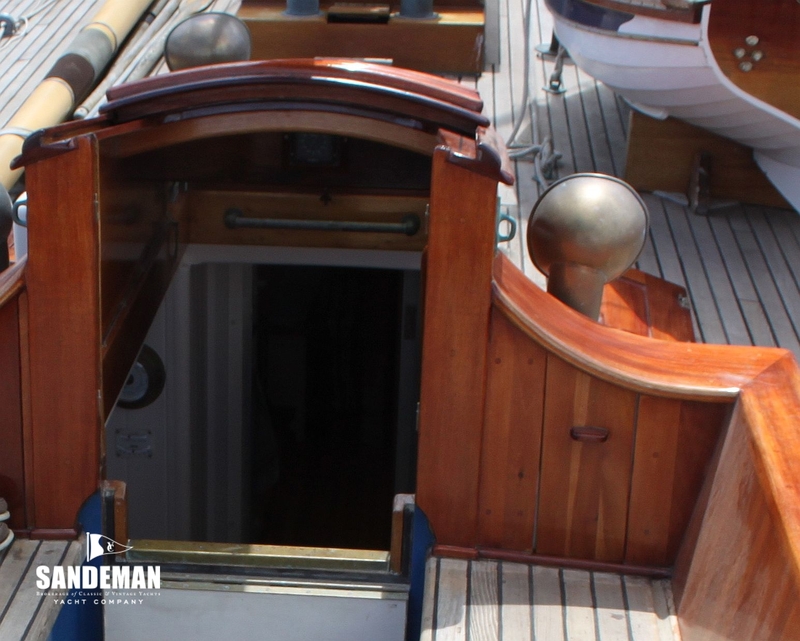 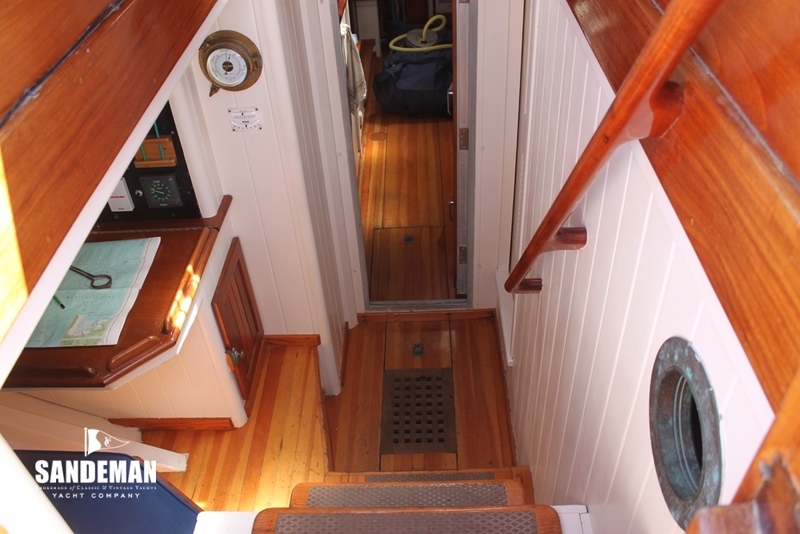 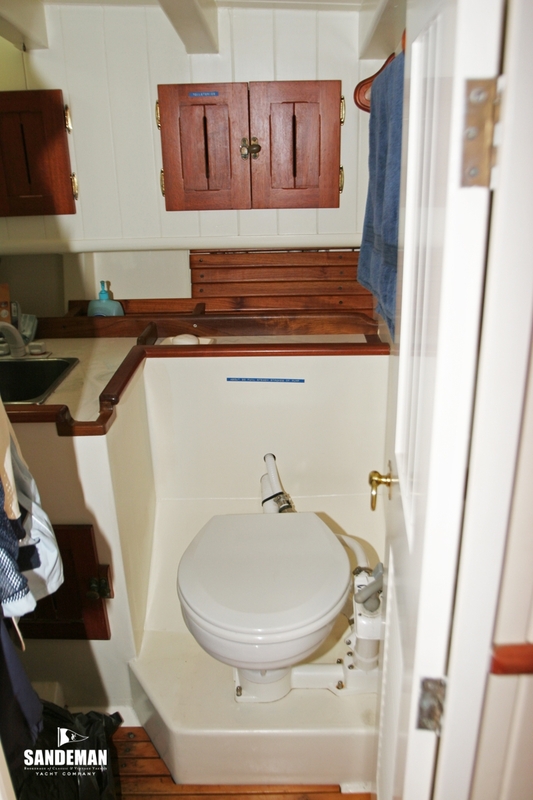 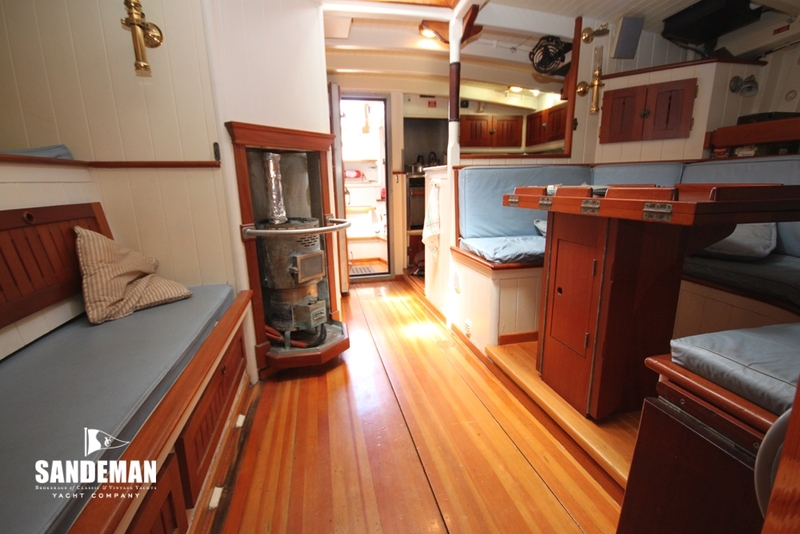 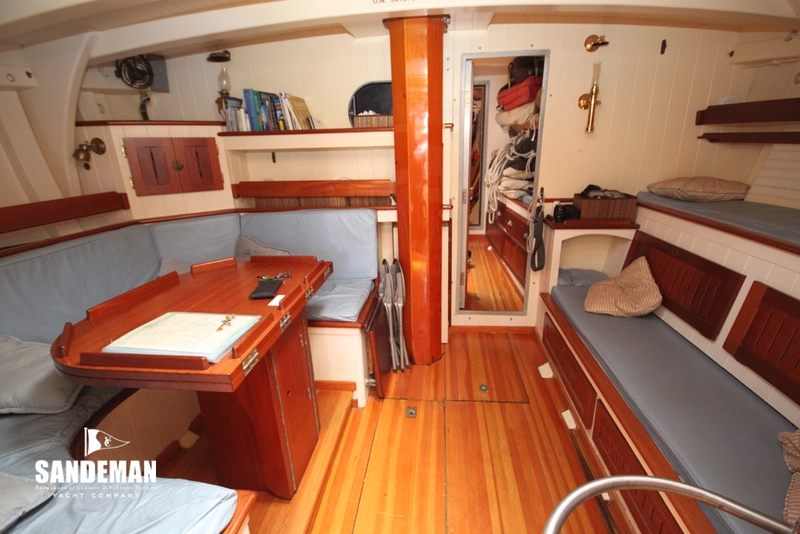 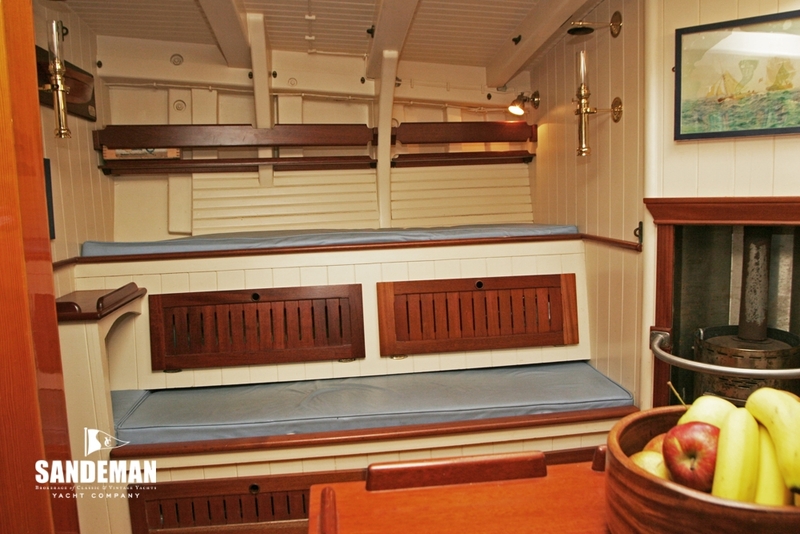 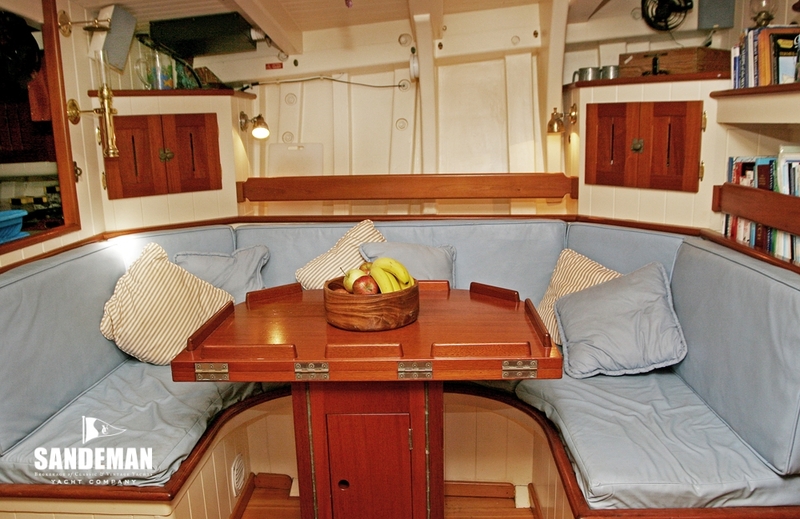 The after cabin, aft head doors and cupboard doors are louvred for ventilation. 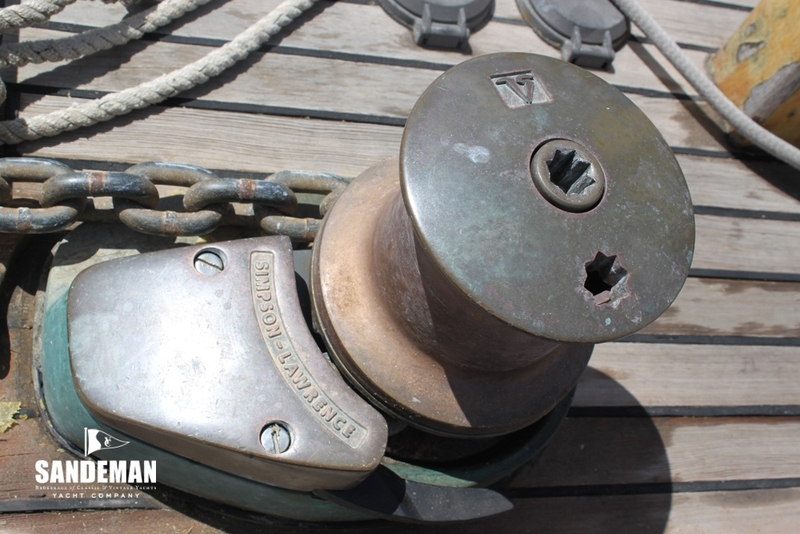 - Two movable tackles made up with 5/8" Lewmar blocks and double braid line. 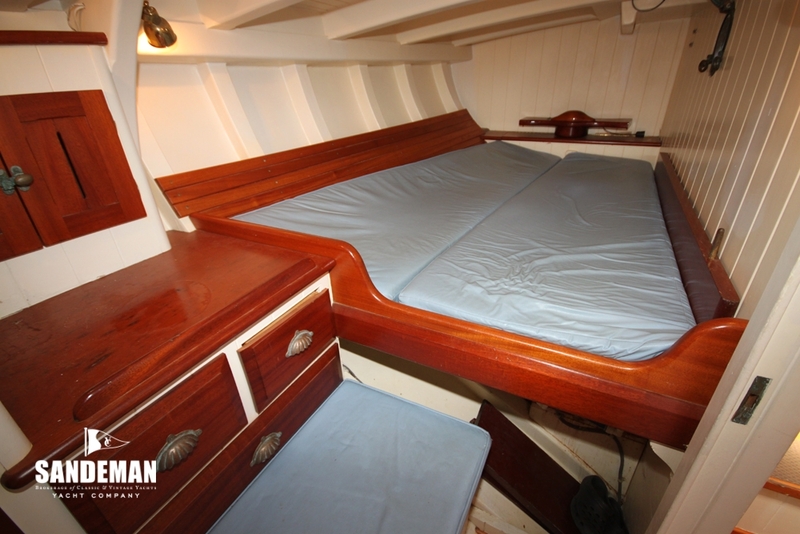 - Mainsail, staysail and square sail covers, with lacing. 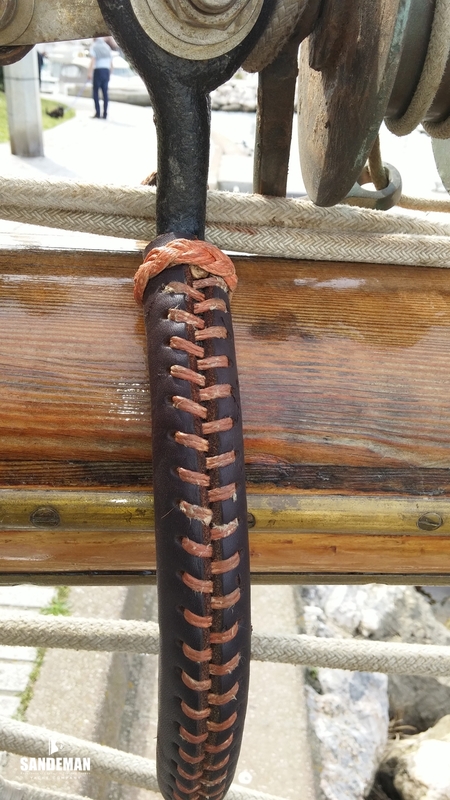 - 300 ft 7/8th inch nylon rode. 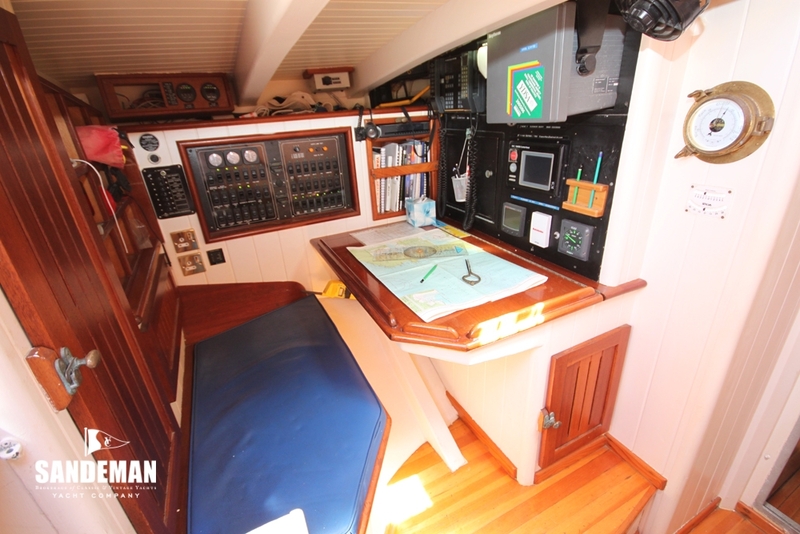 - Units housed in waterproof enclosure; control screen at navigation station. 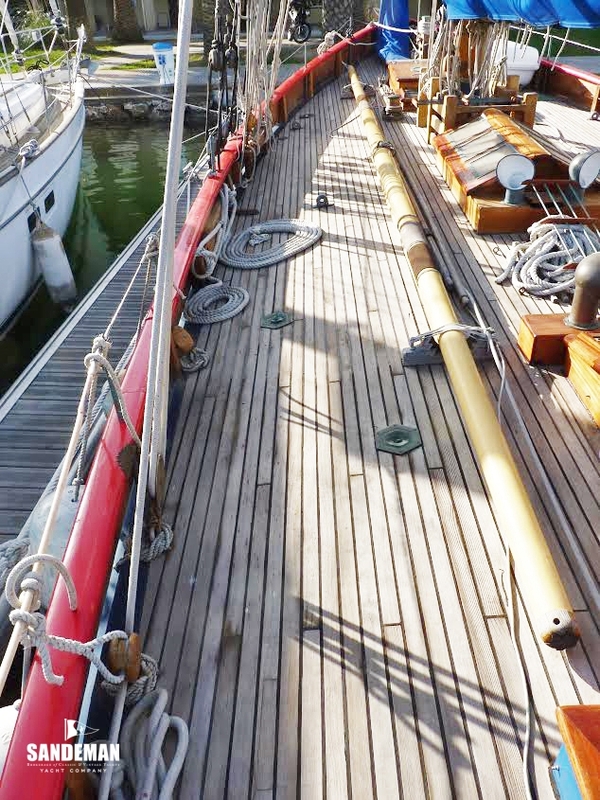 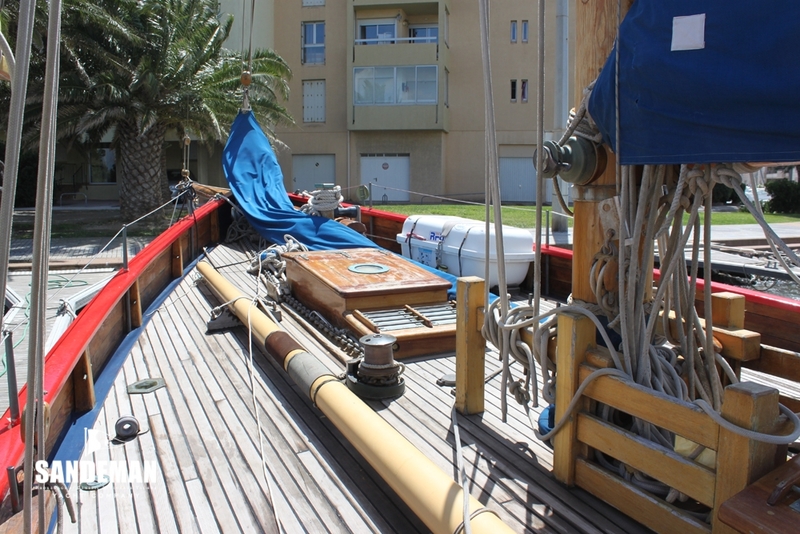 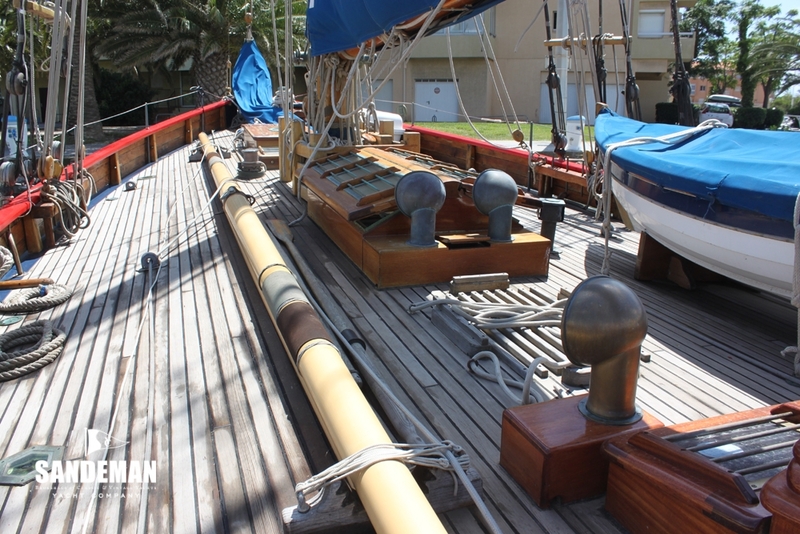 - Sprit rigged for sailing with 47sq ft sail by SKB sails to match cloth for ALEXANDER T.